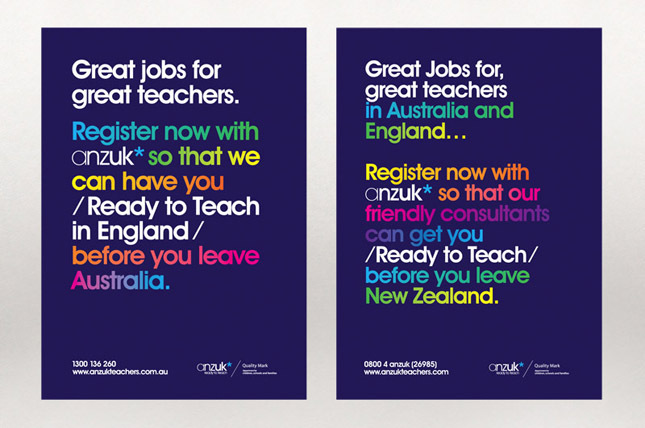 anzuk* are a teacher recruitment company based in Australia and the UK. They specialise in helping teachers looking to teach abroad get set up before leaving home. The brand was looking to implement a new brand system across both the Australian and the UK arms of the business with an eye to the future where the company is looking to branch into other countries. Building a fresh and approachable identity – with that professional edge. 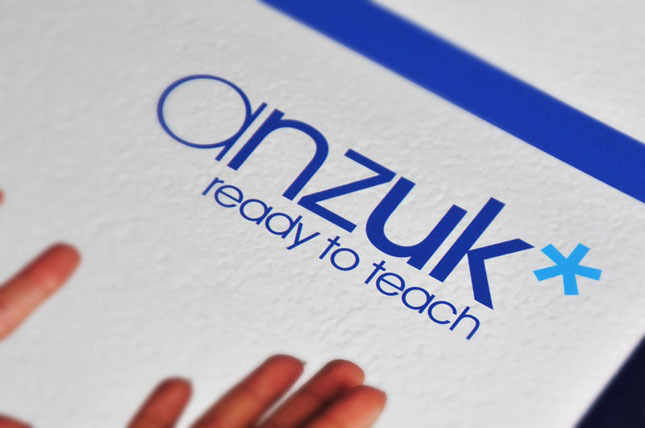 The goal for the new ‘anzuk* identity was to establish a strong, confident, but friendly image for the brand. anzuk* pride themselves on their personal touch, with both candidates and employers. This strong point of difference within an often faceless recruitment sector had been missing from their brand image in the past. It was essential for this message to be conveyed in an engaging yet professional manner across all anzuk* brand material.